If you have traveled around this country you have probably spent your fair share of time in airports. From the hustle and bustle of LAX to the heavy traffic of O'Hare to the Boston Harbor runway at Logan there is a lot to see. But none of these airports stand up to the beauty and charm that the Bozeman Yellowstone International Airport (BZN) has to offer. Since 1972 the Bozeman airport has served as the travel hub for residents of the Gallatin Valley, but recently it has become a destination for people from all over the world. 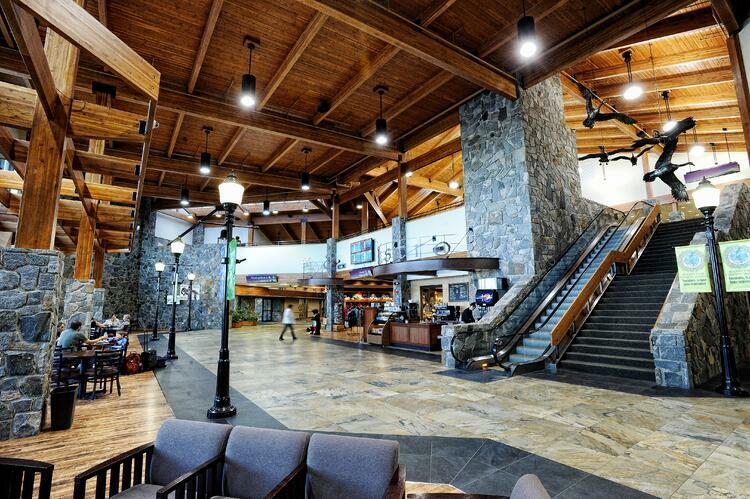 As for its perks and amenities, here are the top 10 things to love about the Bozeman Yellowstone International Airport. The airport is a great hub to many popular destinations that are all within a short drive. 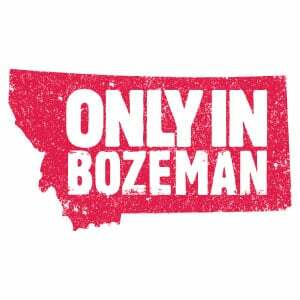 Bozeman is surrounded by 5 mountain ranges and millions of acres of National Forest. For those looking to get lost for a few days of recreation, there is no better place. For skiers, Big Sky Resort and Bridger Bowl are a short drive away while hikers, fly fishermen, rock climbers, backpackers are in heaven with lots of great access to all that Montana has to offer. Bozeman makes a great basecamp for those looking to explore the mountains during the day and come back to great restaurants, shopping and accommodations at night. Plus with the availability for direct flights all over the country you could leave home in the morning and be on the river catching trout in the afternoon. The Bridger Mountain Range is a spectacular sight at any time of the day or any season. With the snow-speckled peaks lasting for most of the year in addition to wildflowers growing around the runways, the Bozeman Airport is second to none for the views that it provides travelers. 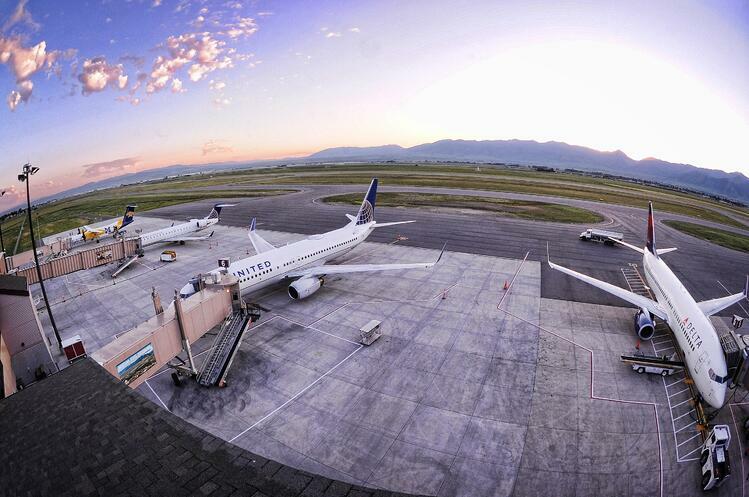 If you're lucky enough to fly in or out of Bozeman during lighted hours, prepare yourself for a gorgeous view. There are a few shops found through the airport that provide travelers with information and education as well as Montana tourist items. Destination Yellowstone is a retail store and is operated by the Yellowstone Association. It's filled with maps, books, and guides for Yellowstone National Park. It also educates travelers with its web-based LCD map display to orient travelers and provides the latest park information, including updates on road closures, wildlife sightings and a live view of Old Faithful Geyser and current information on park geology and wildlife. Montana Gift Corral offers quality-made gifts and souvenirs such as huckleberry products, an assortment of snacks, bath and body items, and home decor pieces to remind you of Montana. Montana Gift Corral offers two locations throughout the Bozeman airport with one being on the upper level and the lower level. They are both open seven days a week. The Bozeman Yellowstone International Airport is the busiest airport in the greater Yellowstone area with over one million passengers flying through Bozeman per year. This offers travelers great access to our nation's first National Park. Yellowstone saw over 4.2 million visitors in 2016 and many of them flew into Bozeman. 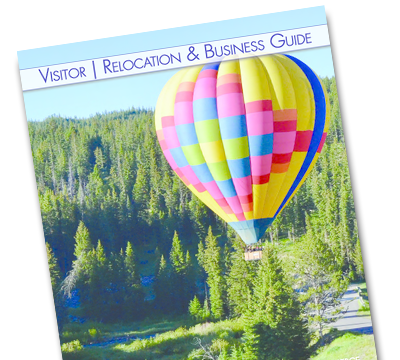 From the airport, you can enter the park through the North Entrance in Gardiner, MT or the West Entrance in West Yellowstone, MT. If you are looking to experience Yellowstone, there is not better way to get there than a quick flight to Bozeman. Bozeman-Yellowstone International Airport is the busiest airport in Montana, with good reason. Whether you’re a thrill seeker, an outdoor enthusiast or simply love the pace of a mountain town full of culture, Bozeman will not disappoint. Lucky for you, access is easier than you might think. Six major airlines service Bozeman, and 17 of the flights are nonstop to major cities. While not all of them fly daily, the flight schedules make it easy to plan your trip accordingly. Below is a quick outline of the year-round and seasonal non-stop flights to help you get started. The Bozeman airport overthrew the Billings Logan International Airport as the busiest airport in Montana in 2013 and has shown an aggressive yet steady growth with the most recent years. The numbers show a 52% increase in total passengers from 728,000 in 2010 to 1,107,000 in 2016. This is an overall 7.2% compounded annual growth rate since 2010, but who's counting? And there is no stopping there. 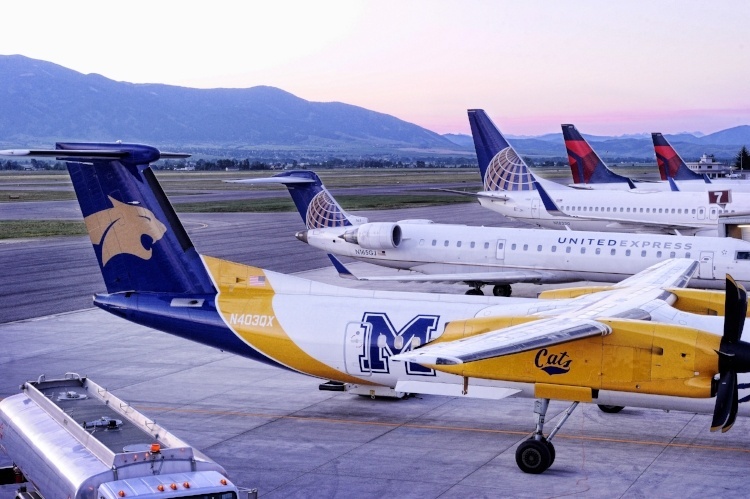 Bozeman has become a wildly popular destination for airlines to add more flights. So don't be surprised to see these numbers continue to rise. While the Bozeman Yellowstone International Airport is magnificent as it stands, the plans don't stop there. The current projects that are either in the works or in progress are a new parking garage, and concourse expansion to more efficiently move heavy traffic through the terminal and increase capacity. The Bozeman airport plays host to many fantastic art pieces found throughout the terminal. Local artists either donate or offer their artwork for sale. These rotating art pieces add an exciting twist with airport decorations during your visit to the airport while helping promote the local artists of Bozeman, Montana. When people think of Montana they usually think we are isolated or hard to get to. For Bozeman, that couldn't be farther from the truth. This is a bit of a secret that has been getting out over the last few years. Bozeman offers direct flights to cities like New York, Atlanta, Chicago, Los Angeles, Dallas, Houston, San Francisco, Seattle, Denver, Phoenix, Las Vegas and Portland. And flight times are surprisingly not that intimidating. For example you could leave Chicago at 10 AM and be in Bozeman by noon. That is less than 3 hours away. Even better if you are coming from Seattle you are looking at about an hour and a half or around 2 hours from San Francisco. Getting to Bozeman has never been easier so you have no excuse not to come visit. Regardless of where you live or what you'd like to do in Bozeman, you need to experience the Bozeman Yellowstone International Airport. The view alone is worth the price of your ticket. We hope to see you soon.